Probably the last thing you want to do on a day when the mercury tops out at 92° is settle down to a piping hot bowl of noodle soup. I plead guilty to having done just that, and I’d do it again in a heartbeat if the noodle soup in question was the hu tieu served up at 3-month-old Em in Bensonhurst Brooklyn. 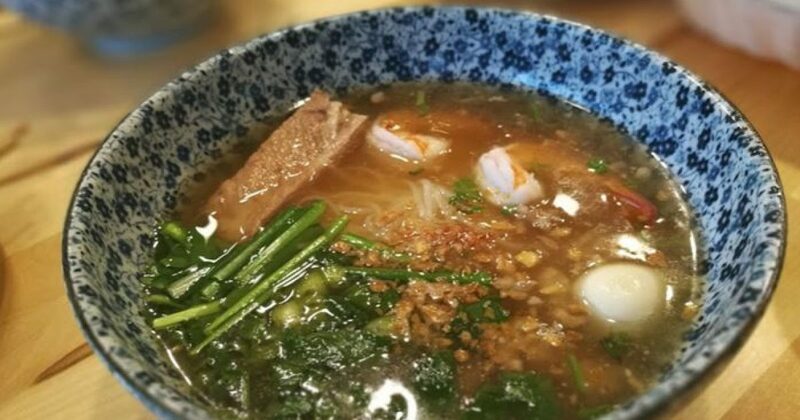 The broth is a rich and complex distillation of long-cooked pork bones and dried seafood that harbors tender pork ribs and quail eggs in its depths. A dense tangle of rice noodles breaks the surface where it is joined by bits of ground pork, cilantro leaves, and lengths of chive. That bowl of soup provides not just some memorable eating but also Em’s back story, which you can read for yourself on the restaurant’s website. The principal players in the story are Patrick Lin, a second-generation Chinese-Vietnamese living in Brooklyn, and Ly Nguyen, a small-town Vietnamese girl from Khanh Hoa province. Not having had the opportunity to taste Ly’s cooking, Patrick jokingly remarked that he would have to try her cooking if they were to get married. Ly took the comment seriously and made Patrick a bowl of Hu Tieu. Ly is now chef at Em, which the couple owns, and Ly’s wondrous hu tieu is the eatery’s signature dish. The word em in Vietnamese, by the way, is a term of endearment that a husband will use to address his wife. 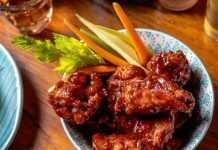 Em, the restaurant, makes its home in a tiny storefront with a few bare-topped tables in honey-colored wood, plus a counter and stools in the front. The chief decoration is high-quality photos of the dishes, which are lovely to look at but no substitution for the real thing. The menu is comprised by three noodle soup options, each meal-sized, along with half a dozen banh mi, the famous Vietnamese hero sandwiches. A trio of starters, all rolls, include a zesty goi cuon, aka summer rolls: sheets of rice paper wrapped around shrimp, vermicelli, lettuce, mint, and chives. You dip the refreshing bundles in a peanut sauce dappled with roasted chopped nuts. 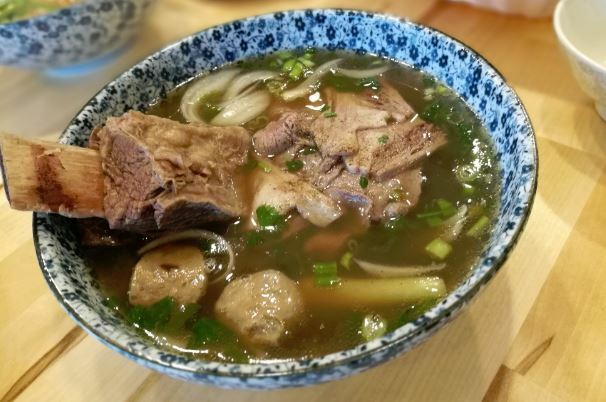 One sip of the broth that is the featured player in Em’s pho bo, or beef noodle soup, confirms the menu’s claim that it is simmered 24 hours. 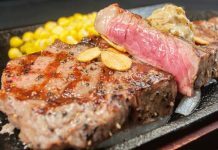 The bracing liquid is intense, almost gamy — a quality reinforced by the meats, among them a thick slab of short ribs, another of brisket. Just before service, slices of filet mignon and rib eye are eased into the broth à la shabu shabu, along with rice noodles. The banh mi arrive on crispy bread under the customary blizzard of pickled and fresh veggies and a dense tangle of fragrant cilantro. 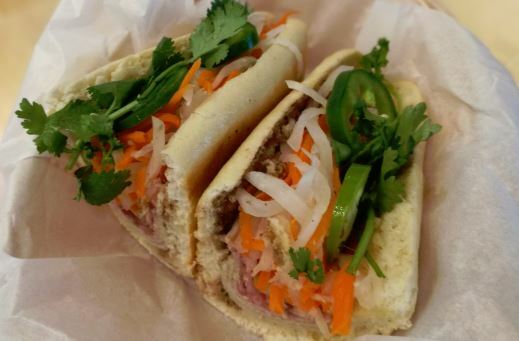 The classic banh mi Em features many layers of tender pork roasted in banana leaves adorned with house-made pâté, while the banh mi bo is piled high with braised beef tinctured with lime juice and plenty of black pepper. There are no desserts to speak of but there are stand-ins in the form of smoothies and other sweet beverages, some with fanciful names (think “Aloe It’s Me”). 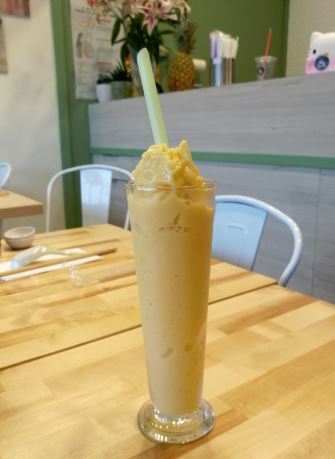 The Mango Tango is so thick it will scarcely make it through the outsize straw served with it but good for that. Don’t miss the Vietnamese iced coffee, strong and bracing, brewed with Robusta beans from Vietnam — utterly refreshing. 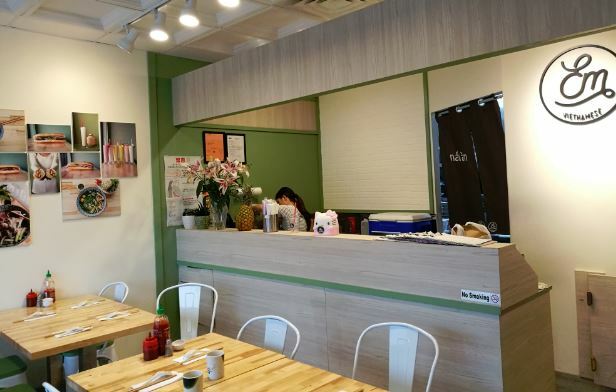 Price range: $6 for first courses $8.50 to $12 for noodles, $6 to $9 for banh mi. 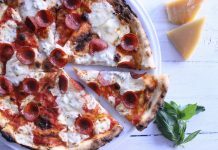 Em is open seven days for lunch and dinner.